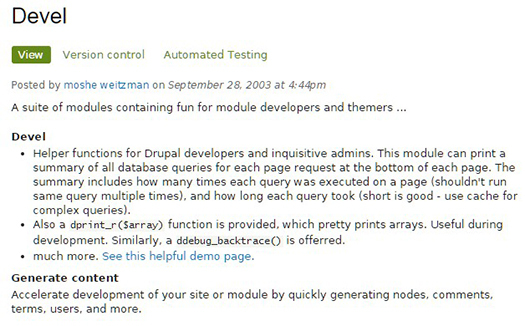 Create customized lists and queries from your database. 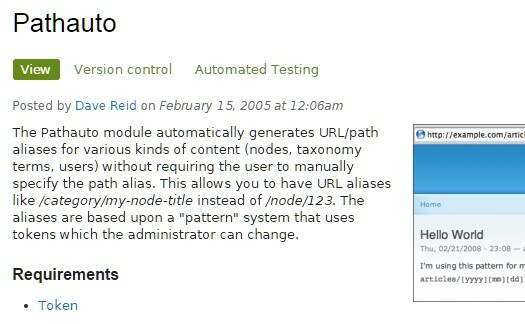 Provides a mechanism for modules to automatically generate aliases for the content they manage. 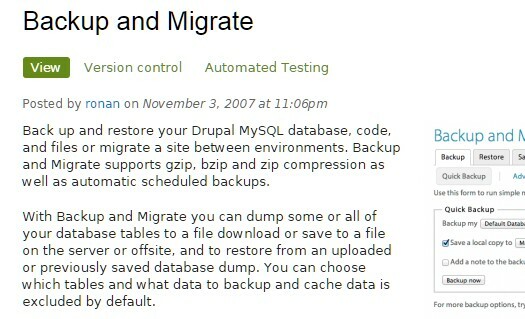 Backup the Drupal database and files or migrate them to another environment. 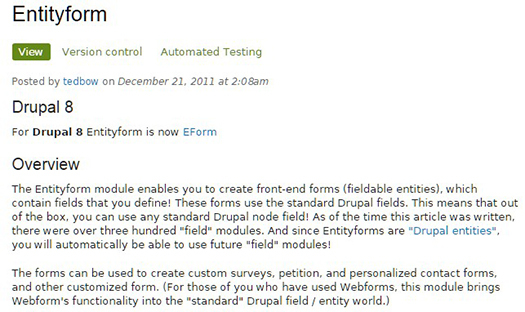 Provides feature management for Drupal. 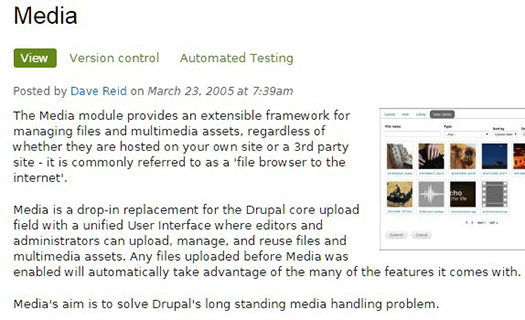 Provides the core Media API. Provides a dropdown menu to most administrative tasks and other common destinations to users with the proper permissions. Various blocks, pages, and functions for developers. 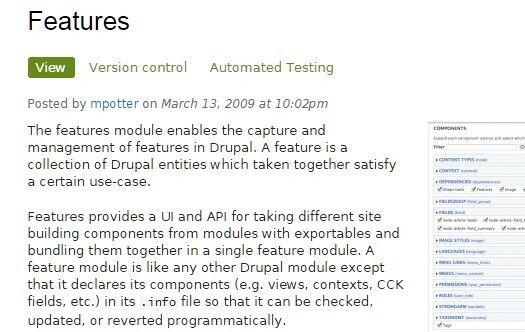 Generate dummy users, nodes, and taxonomy terms. 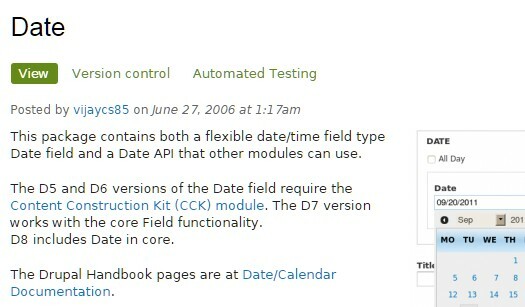 This module should be disabled in the production server. 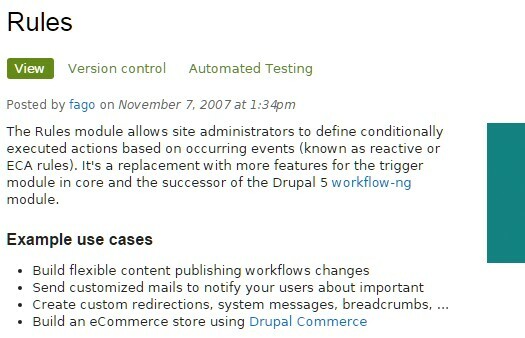 React on events and conditionally evaluate actions. 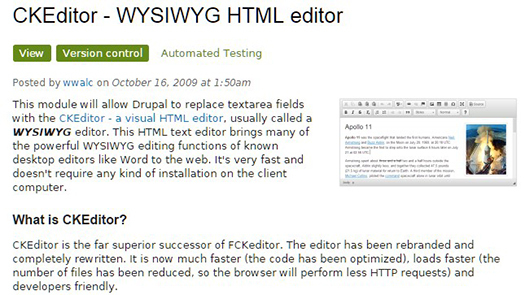 WYSIWYG HTML editor to use instead of plain text fields. 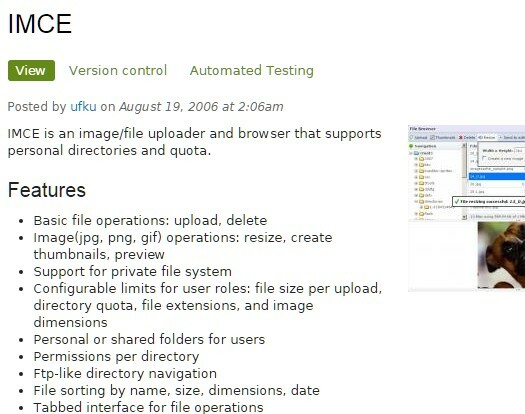 Image and file uploader and browser supporting personal directories and user quota. 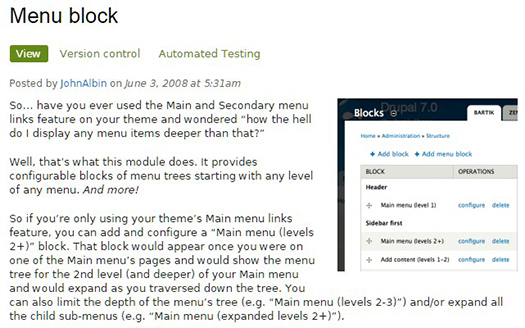 Provides configurable blocks of menu items. 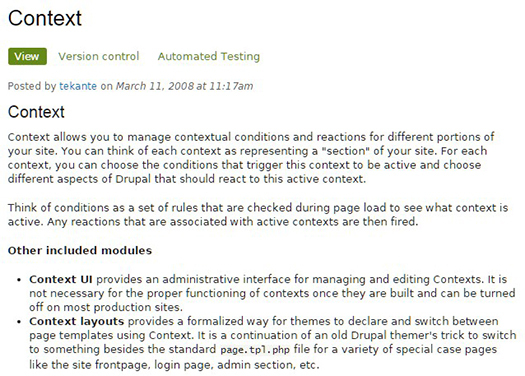 Manage contextual conditions and reactions for different portions of your site. 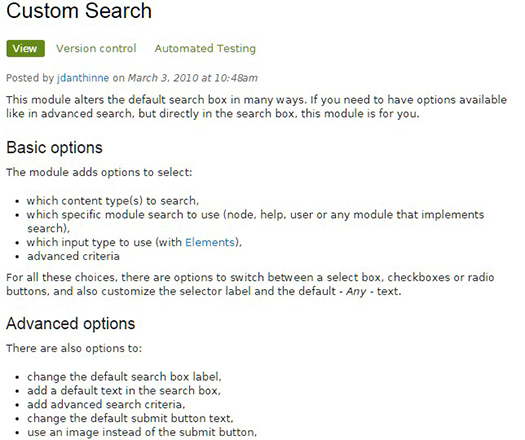 Customize the default search, change labels, default texts, ordering, and display content types and taxonomy selectors. 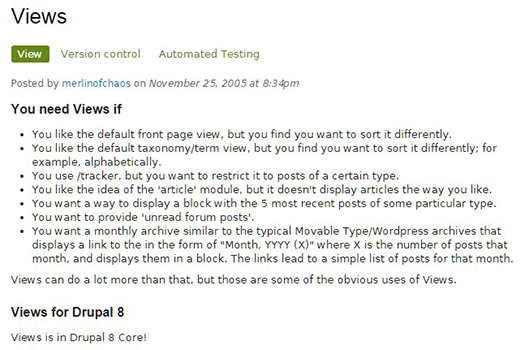 Show differences between content revisions. 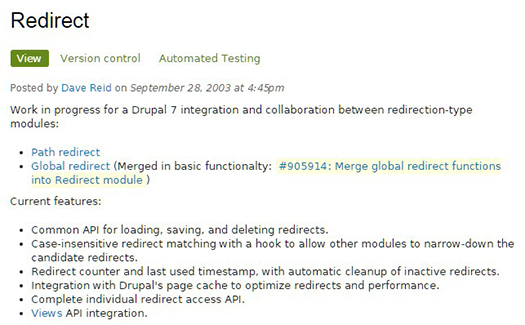 Allows users to redirect from old URLs to new URLs. 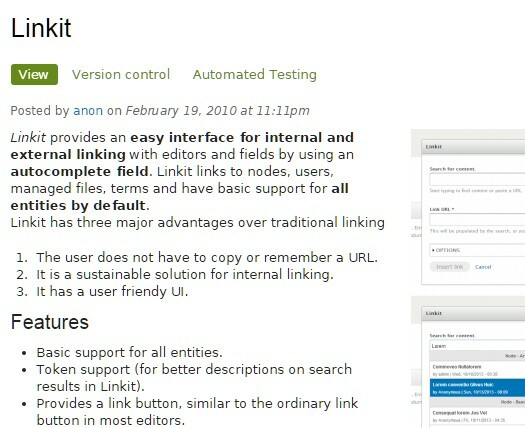 Provides an easy interface for inserting links. Creates default shortcut per role. 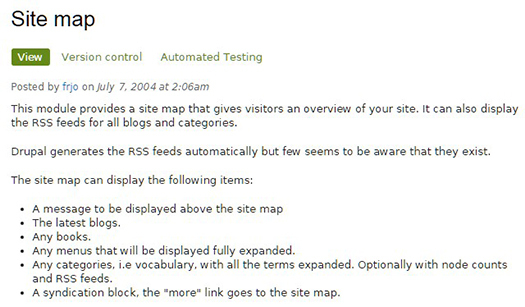 Provides a site map that gives visitors an overview of your site. 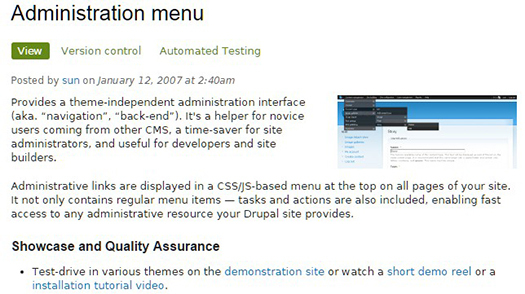 There are other essential modules depending on the needs of your Website. For instance, I like to use the Bibliography Module to manage and display publications. I also like to use the Node Revision Restrict module to restrict revisions of node for each content type. This helps reduce database size, enhance site performance and improve execution time of node load functionality. I personally don’t use the Google Analytics module since I add the snippet of code directly into the template file (html.tpl.php). 62 queries in 0.329 seconds.